Almost every failed startup has a product. What failed startups don't have is traction -- real customer growth. Traction introduces startup founders and employees to the "Bullseye Framework," a five-step process successful companies use to get traction. 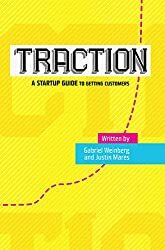 Traction Book is a guide to getting customers, written for startup founders, marketers, and those interested in how startups grow and get traction. 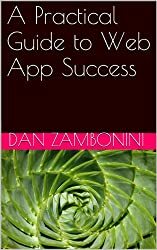 We interviewed over forty successful founders and researched countless more growth stories to pull out the repeatable tactics and strategies they used to get traction. Gabriel Weinberg is the Founder & CEO of DuckDuckGo, the search engine that doesn't track you with over a billion searches in 2013. Previously he was the Co-founder & CEO of Opobox, which was sold to United Online in 2006 for $10 million. Weinberg is also an angel investor and has been featured on CBS, FOX, the Guardian, the Washington Post and many more. He holds B.S. in Physics and an M.S. in Technology and Policy from MIT. You can find his writing on marketing and personal-development on his blog, justinmares.com.